Rent Horseshoe Bay Resort | Corporate Events | Wedding Locations, Event Spaces and Party Venues. Horseshoe Bay Resort is Texas’ premier AAA Four Diamond lake and golf resort. The 7,000-acre luxury resort lies along the panoramic shore of constant-level Lake LBJ in the heart of the Hill Country. Weddings are popular year around at Horseshoe Bay Resort because of the scenic and versatile wedding and reception venues located throughout the property. It’s truly spectacular. The resort staff prides itself on hosting memorable weddings for you and your guests, ensuring outstanding service from conception of the event to completion of the reception. Horseshoe Bay Resort’s talented wedding planners will be with you each step of the way, so you’ll cherish this special occasion. ward-winning Executive Chef Jay Hunter leads a talented team of seasoned culinary professionals that will create delightful presentations suitable for your highest corporate level events to annual conferences attended by hundreds of your most discerning guests. Our team will accommodate every meal from private breakfast buffet to elegant five-course meals served under the palms at Palm D’OR. Our catering team will ensure your event runs efficiently with maximum attention to detail. 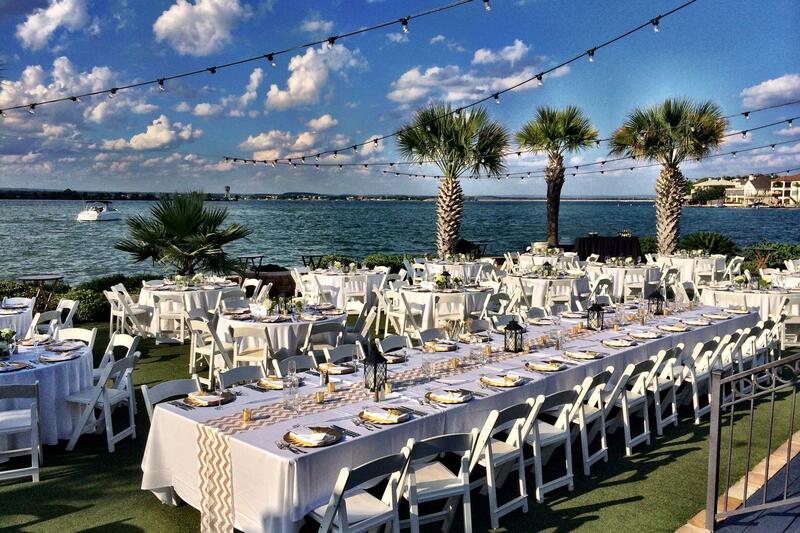 The talented team knows space and layouts and with Horseshoe Bay Resort’s wide variety of event space locations, the optimal place and space arrangement will be sure to impress all your attendees.